Fashion collaboration has become the norm in the fashion industry. 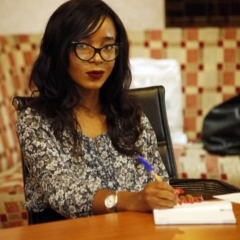 Various African Fashion brands believe a partnership deal will be an effective way to push their brand forward. It is key you understand what a partnership agreement entails before signing or creating a partnership agreement. 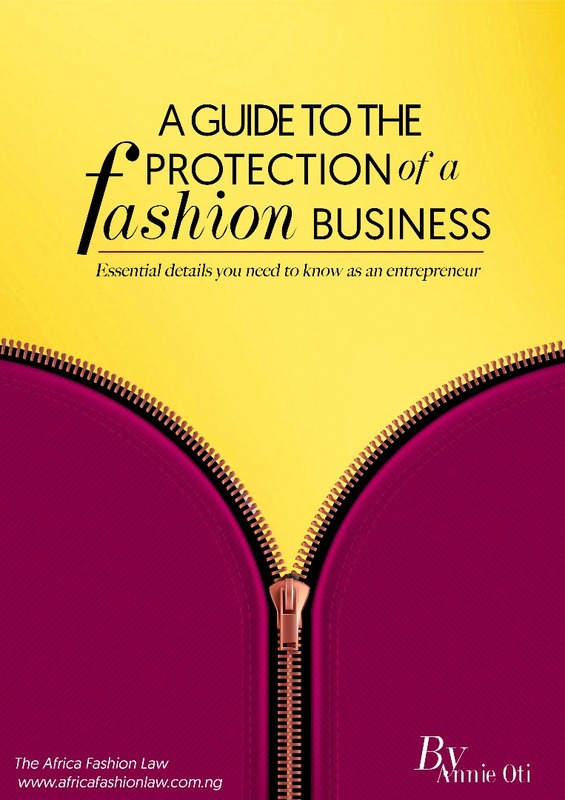 A fashion partnership can either be a succes or a failure, it is primary that such partnership is legally binding. A fashion business is not all glitz and glamour, with all the glitz, it is still a business and every business needs to be legally alert. 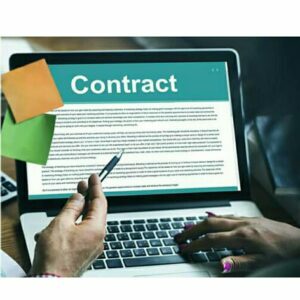 A partnership agreement is a contract between two or more parties that define how a business will be managed by the parties, what investment will be made and how they will be paid. It allows you to structure your agreement to suit the partnership/ the business. A partnership agreement allows a brand to prevent certain disputes and in case disputes arise there will be a remedy. The agreement will cover the good times and the bad time in such business. 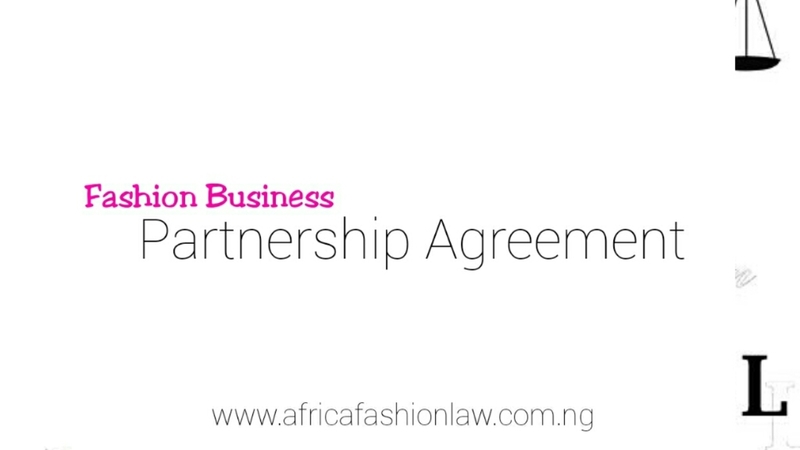 If you plan to collaborate with a fashion SME or a top fashion brand, it is smart to create a partnership agreement and if you just got a deal with a top fashion brand or a fashion SME. 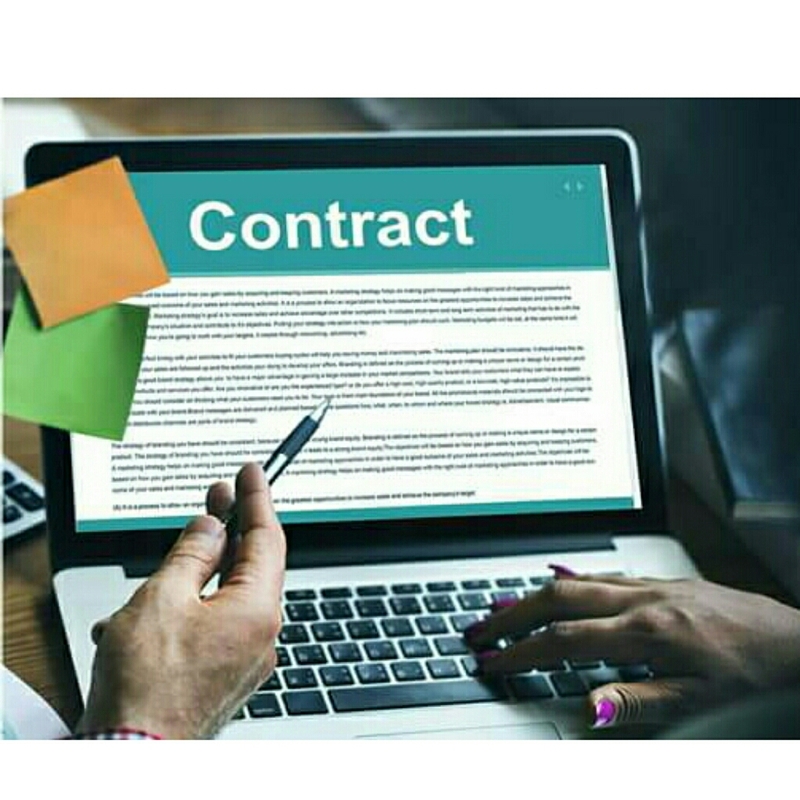 Before signing there is a need to understand the clauses in the agreement, get legal advice from a lawyer before putting your signature down. 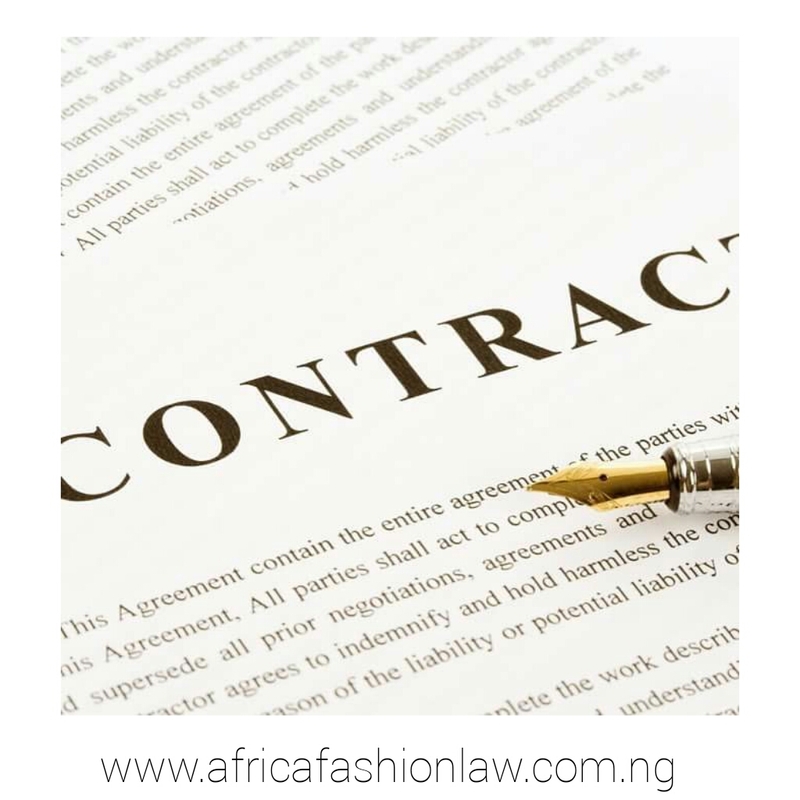 It is essential that the name of the business is contained in such agreement, also there should be a statement of the brand’s purpose. There is the need to indicate the responsibilities of your prospective partner, indicate what responsibility your brand will cater for. Also, there is also a need to indicate the amount of time expected of the partner to commit. When there is a loss how will such be handled? When there is a profit how will it be distributed? The agreement should contain a method of resolving disputes. Some ways to handle disputes in partnership comprises; mediation (working with a mediator can help partners come to an agreement , then arbitration can be considered. If things be contentious and there is no progress, litigation can be applicable. This article is for informational purpose only and not for the purpose of providing legal advice. If you have plans to collaborate with any other brand, partnership differs, so you have to consult your lawyer. 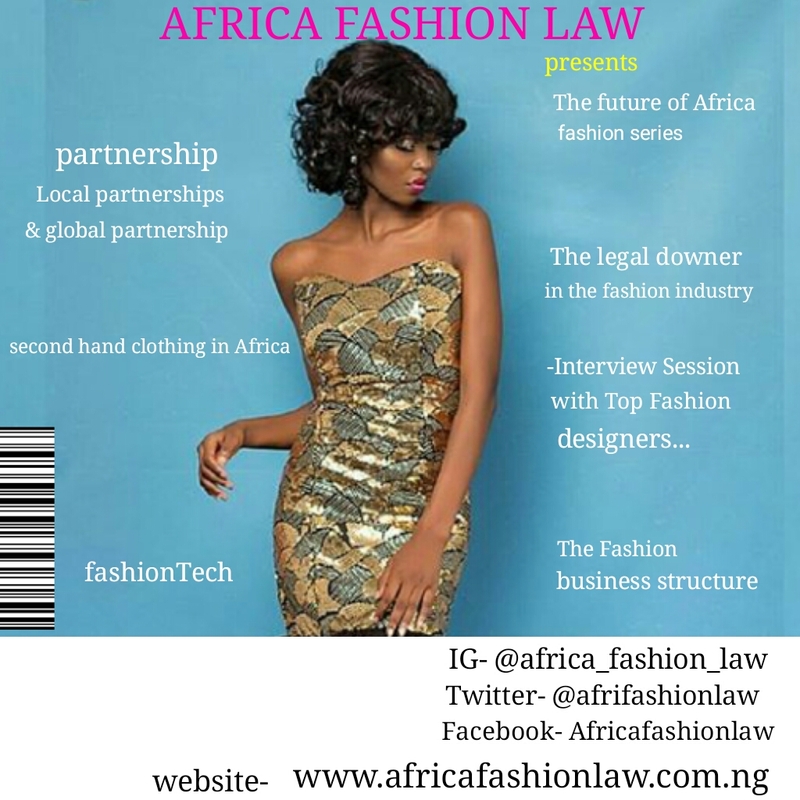 The future of Africa Fashion Series with Rosie Jacobs..
Love the fashion content on your site! You know, most businesses get traffic from their blogs, and we feel that you could use a little help, since you are not blogging weekly yet. 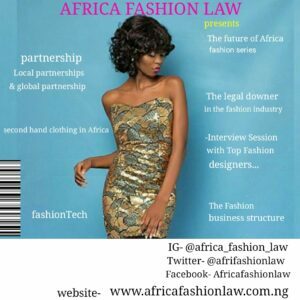 You can have a brand new article to post on africafashionlaw.com.ng starting at $10 in as little as 5 days! 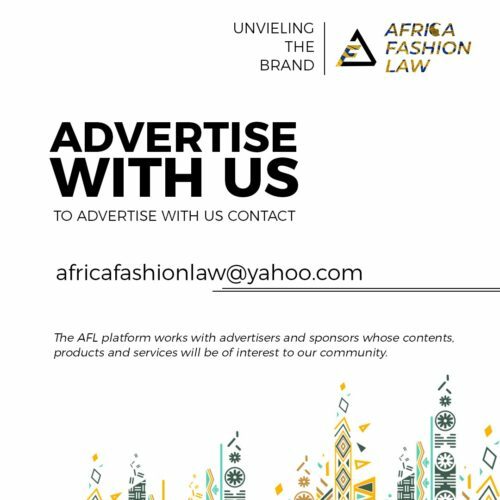 You are receiving this email because the contact form at africafashionlaw.com.ng is open to the public.